Suzuki celerio 1.0 petrol Injector Rail . Comes as pictured complete. Working well. Fits celerio 14-19. Removed from 2016 celerio. Any questions just send message. International postage welcome. We post wherever you need. Thank you for looking. PART NUMBER IS 15600 67850. REMOVED FROM:2006 SUZUKI GRAND VITARA SUV 1.9 DDiS AWD. SET OF INJECTOR PIPES. 5 SPEED MANUAL DRIVE. Fuel Type:PETROL. This is a part fromSUZUKI SWIFT GL 5. Suzuki Liana. 'Suzuki Liana'. Fuel Injectors & Rail. I only know that the item(s) will fit the car that is pictured. 4x Cushion (bottom). 4x O Ring (top). Injection Rail. 1.3 DDIS Diesel 5 Speed 5 Door. This part was removed from a Right Hand Drive Vehicle. Compatibility is a guide only. Your item will need to be signed for. Other Details. TRIM LEVEL. 1.5L (1490cc) Petrol 102Bhp 3Door Hatchback 5 Speed Manual RHDAir Con: Yes. We are Breaking a 2009 Suzuki Swift GLX. Paint Code: 26U. Paint Colour: Superior White. Wing Mirror Type. Screws, nuts and bolts are also classed as a free gift if included. REMOVED FROM: 2006 1.3 DDIS SUZUKI SWIFT 5DR HATCHBACK. INJECTOR PIPES. IF YOU ARE ORDERING FROM THE HIGHLANDS, OR OTHER ISLANDS IN THE BRITISH ISLES AND THE ITEM IS. Engine code K12B 1.2 Petrol - In good working order. Injection Rail. This part was removed from a Right Hand Drive Vehicle. Compatibility is a guide only. Your item will need to be signed for. Other Details. 1.2 PETROL - ENGINE CODE K12B - SET OF 4 WITH A 2 PIN PLUG - PART NUMBER 0080 025 20. GLS Mk1 1.2 Petrol Auto K12B. Injection Rail. This part was removed from a Right Hand Drive Vehicle. Compatibility is a guide only. SUZUKI SWIFT 1.3 PETROL MANUAL 2005 2006 2007 2008 2009 2010 FUEL INJECTING RAIL. THIS ITEM HAS BEEN REMOVED FROM SUZUKI SWIFT 2010 1.3 PETROL MANUAL 5 DOOR HATCHBACK. Item Specifics:2004-2010 - MK3 - 1.3 PETROL - INJECTION RAIL - 2 PIN PLUG EACH. Part:Injection Rail. This Injection Rail was removed from a2007 car and has been fully inspected. SWIFT 2004 -2010 Mk3. SUZUKI VITARA MK4 1.6 2015- FUEL TANK FILLER PIPE HOSE NECK. 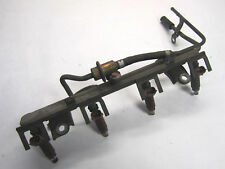 SUZUKI SWIFT 1.3 PETROL FUEL INJECTOR RAIL 2005 To 2009. Item Specifics:2000-2007 - MK2 - 1.3 PETROL - FUEL INJECTION RAIL - WITH INJECTORS. Part:Injection Rail. This Injection Rail was removed from a2001 car and has been fully inspected. WAGON R 2000 -2007 Mk 2. THIS ITEM HAS BEEN REMOVED FROM: SUZUKI SWIFT 2015 1.2 PETROL AUTOMATIC 5 DOOR HATCHBACK. We are a long established vehicle dismantler with over 25 years experience in vehicle dismantling. All parts are marked for identification purposes. 1.3 SZ3 DDIS. Suzuki Swift. If your parcel is lost or delayed, let us know and we'll look into it. 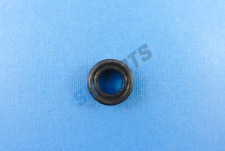 Manufacturer Part Number: 15850 68L50. This Sale Is For One. Part numbers are provided to help identify the part and its compability. We love to hear that you are satisfied with our service and parts. We have a wide range of vehicles and parts on site. We are based in Northern Ireland in Co Armagh. 1 FUEL INJECTOR SUIT SUZUKI GRAND VITARA JB627 H27A 2.7L V6 05-08 INJECTOR. Item Specifics:2009 - 2015 - MK5 - 1.0 PETROL - INJECTION RAIL - WITH INJECTORS. ALTO 2009 -2015 Mk5 1.0 Petrol. Part:Injection Rail. This Injection Rail was removed from a2012 car and has been fully inspected. Item Specifics:2004-2010 - MK3 - 1.3 PETROL - INJECTION RAIL - WITH INJECTORS - 2 2 2 2 PIN PLUG. Part:Injection Rail. This Injection Rail was removed from a2008 car and has been fully inspected. SUZUKI IGNIS 4GRIP. 1.5ltr VVT Petrol. Injector Rail. From A 2004 54 Reg. SUZUKI VITARA MK4 1.6 2015- FUEL INJECTOR RAIL M16A. CELERIO 2015 -2018 1.0 Petrol. Item Specifics:2015-2018 - 1.0 PETROL - FUEL INJECTION RAIL - MK1 - 1W117179191409. Part:Injection Rail. This Injection Rail was removed from a2018 car and has been fully inspected. LIANA 2001 -2007 Mk 1. Item Specifics:2001-2007 - 1.6 PETROL - MK1 - FUEL INJECTION RAIL. Part:Injection Rail. This Injection Rail was removed from a2003 car and has been fully inspected. THIS ITEM IS A USED SUZUKI SWIFT MK3 1.3 DIESEL BOSCH INJECTION RAIL PART NUMBER 0445214044. REMOVED FROM A 2006 SUZUKI SWIFT DDIS. REFERENCE THE SALE OF GOODS ACT 1979. NOT INCLUDING NORTHERN OR SOUTHERN IRELAND OR SCOTTISH HIGHLANDS. 2011 SUZUKI ALTO SZ4 1.2 PETROL AUTOMATIC. We provide a wider range of quality vehicle salvage, salvage car parts & used vehicle parts. 1.3 SZ3 DDIS. Suzuki Swift. If your parcel is lost or delayed, let us know and we'll look into it. This Sale Is For One. Removed from a 2013 ( Splash 2011 On range) Suzuki Splash SZ2 1.0 Petrol Manual 5 Door Hatchback, Engine Code K10B. 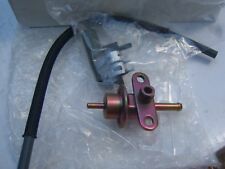 Suzuki Splash High Pressure Fuel Injection Pump. Splash 2011 On. Gaskets & oil seals are not covered. Suzuki Swift GTI GTI Mk1 1.6lt dohc 1986 - 1988. Suzuki Swift SF GTI Mk2 / Mk3 1.6lt dohc 1988 - 1998. Fuel Injector Seal Kit. 1.3ltr Petrol 5dr. Injector Rail. SUZUKI WAGON R . From A 2000 X Reg. SUZUKI GRAND VITARA Fuel Injector. GRAND VITARA 2006 -2012 1.9 Diesel. 2006 SUZUKI GRAND VITARA which we are dismantling. HS1-9, IV40-51, IV55-56, KA27, KW15-17, PA20, PA41-49, PA60-78, PH42-44, ZE1-3. Fits Suzuki Jimny Liana Swift SX4 1.3 1.6 05-14. 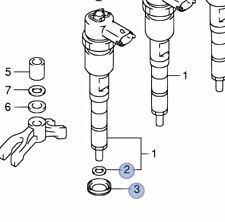 4 x Fuel Injectors 297500-0540. Professionally re-manufactured fuel injectors.